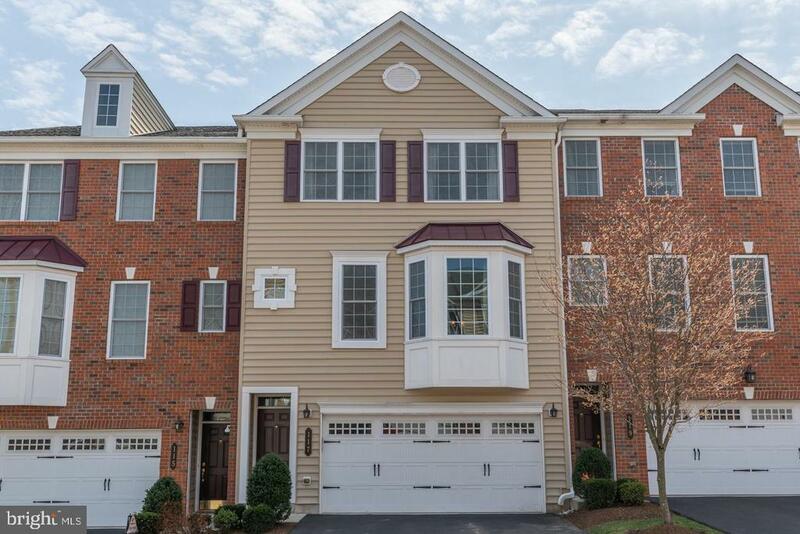 Welcome to this magnificent 3 BR 2/2 bath townhome that has been beautifully upgraded featuring a 2 CAR GARAGE located in the heart of downtown Ambler. This home offers so much versatility and space for the discerning buyer. The main level offers a hardwood floor entry foyer that leads into the sun filled family room which could also be used as your home office featuring a slider to the backyard and a powder room. Step upstairs to find a spacious living room and dining room with hardwood floors, a double sided gas fireplace, crown molding, recessed lighting and a powder room. The kitchen is a chefs dream which also has hardwood floors and stainless steel appliances, granite countertops, an island, upgraded cabinets. Plus an added bonus is the adjacent sunroom featuring a cathedral ceiling, tile floor and sliding glass door leading out to the relaxing maintenance free deck. The upper level features the luxurious master suite with a walk-in closet, cathedral ceiling and sumptuous master bath with oversized shower, upgraded tile and double bowl vanity. Two nice sized bedrooms, a hall bath and laundry room complete this level. Youll enjoy an easy maintenance free lifestyle thats within walking distance to the adorable town of Ambler with its many great shops, hip restaurant scene, popular movie theater and Septa train station making for an easy commute to Philadelphia. This home has been lovingly cared by the original owners and youll want to call it home.